A staple in the craftsmanship of jewelry since the late 30's, it is clear to see why palladium rings have been so popular for men. A more affordable and lightweight alternative to platinum and gold, palladium is durable, shiny and timeless in terms of style. Our mens palladium rings will never need to be re-plated and are ideal for those men who appreciate quality but prefer a more wallet friendly price tag. All our rings are suitable for sensitive skin as they are hypoallergenic and are scratch and tarnish resistant, as well as being nickel free. Available in a stunning array of designs from elegantly simple bands to more intricate designs with carving and embedded precious stones, we have a design to suit everyone. All our mens palladium wedding bands are available with polished finish, satin finish or polished edges, creating the look you want for a fraction of the price of standard gold or platinum rings. Simple and sophisticated elegance goes a long way, so choose one of our palladium rings today for your special day. Comfort and durability are at the fore front of all of our mens palladium wedding bands, providing you with ease of wear and a timeless design, all at an affordable price. 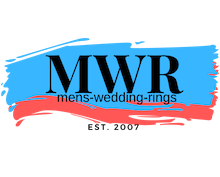 Its lightweight nature is ideal for men who are not used to wearing jewelry, a ring so comfortable, you'll barely remember you're wearing it. We carry a wide range of sizes, so we can ensure a great fit for every man. Don't hesitate to ask our team of experts for advice or if you can't find what you're looking for. We pride ourselves on our quality of customer service and will gladly help to find that perfect ring. Feel free to browse through our collection of palladium rings to find the one of you.